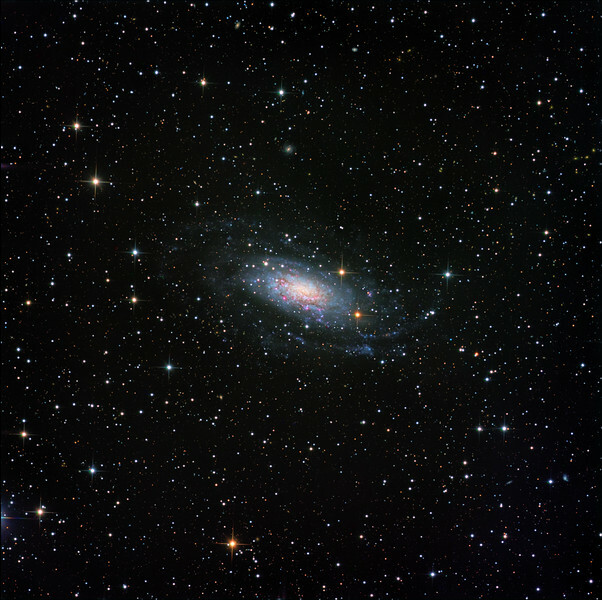 NGC 3621 in Hydra. The spiral arms are very faint, and take much exposure to show them. Luminance 9.5 hrs; RGB 90 min each. Aspen CG16M on 20 inch PlaneWave.